Last week NSW Planning Minister, Pru Goward, announced the government’s approval of the University of Newcastle’s proposal to see the expansion of the facility into the city with a precinct costing $95 million. 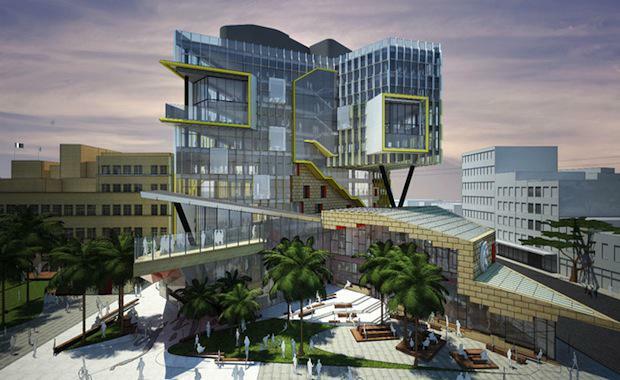 It will comprise of an education building of 10-stories, a revamped University House and an expanded carpark. The precinct, called ‘NeW Space’ will drive renewal in Newcastle’s CBD and offer modern teaching and learning. Construction will commence later this year and be completed by 2017. Ms Goward said the new development will be amongst the first to be completed in the city since the 2012 release of the NSW Urban Renewal Strategy. “The new campus will be one of the first projects to be completed in the CBD since the NSW Government released the Newcastle Urban Renewal Strategy in 2012,” the NSW Planning Minister said. “This is a true urban renewal project, with a significant portion making use of a disused site while protecting and regenerating the heritage-listed University House. The Australian Government are funding the development with $30 million through the Education Investment Fund Regional Priorities Round, while the NSW Government are funding it with $25 million and an investment from the University of Newcastle of $40 million.